You have until midday (GMT) on Monday 14 January 2019 to submit your votes for any of the categories. The CPSA Annual Awards will take place on Saturday 2 February 2019 at the Belfry Hotel & Resort. To reserve dinner tickets, please click here or call Phoebe on 01483 485400. The Awards recognise and celebrate the outstanding achievements of individuals, clubs, and other organisations that help to promote and develop clay shooting in England. There are ten different awards which will be presented on the night, each focusing on a different aspect of the sport to acknowledge outstanding achievement in that field. Sponsored by Elite Events, this award recognises the outstanding individual contribution that someone has made to the sport. Previous winners of this award include Ian Coley MBE, Keith Murray, John Robinson, and Martin Barker. Last year's winner was Paul Chaplow. Sponsored by Solware, this award recognises the success of a disabled shooter over the course of the last year. Previous years' winners include Andy Womble, Sam Nunn, and Adrian Last. Last year's winner was Alec Sperling. Sponsored by Promatic, this category rewards a club or ground that has made a significant contribution to the shooting experience of CPSA members. Previously, Cambridge Gun Club, Southdown Gun Club, Orston Shooting Ground, and Northall Clay Pigeon Club have won this award. Last year's winner was West Midlands Shooting Ground. Sponsored by Romero Sports and Leisure, this award recognises any project or initiative that has achieved success in developing the sport through attracting more shooters and encouraging new participants. The Schools Challenge, Elite Shooting Academy, Shotgun & Chelsea Bun Club, and the East Midlands Regional Committee have all previously won this award. Last year's winner was Talent Pathway - British Shooting. Sponsored by the CPSA, this award is presented to the county committee that has ‘gone the extra mile’ and made positive contributions to the sport of clay shooting, from grassroots participation through to team management, growing and governing the sport while underpinning the core demands of a county committee. Previous winners include Sussex and Cheshire, with Cheshire winning the past two years in a row. Sponsored by Sport England, this category recognises the contribution of an outstanding volunteer who has worked tirelessly to support the sport or their club, county, or region, in order to ensure the enjoyment of others. Previous winners of this award include Richard Hunter, Kevin White, Julie Sperling, and Phil Weston. Last year's winner was Kevin Howarth. 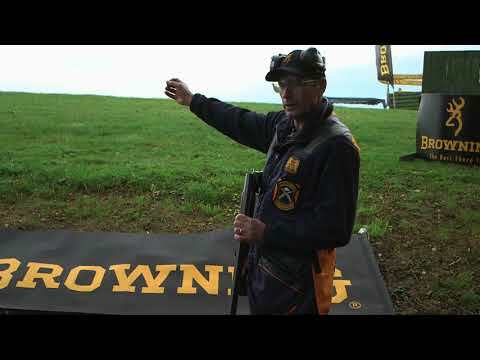 Sponsored by Browning, this award recognises the contribution of a CPSA-qualified coach in developing their shooters to make excellent progress and/or achieve great success. Previous winners include Linda Grayson, Sarah White, Paul Dancer, and John Robinson. If there is a coach who has contributed to your success after you felt the need to gain further experience or qualifications, then this is the category to nominate them in. Last year's winner was John Bellamy. Sponsored by Laporte, this category rewards the success and progress made by an outstanding young shooter over the year. The nominee must be 16 or under on 31st December 2018. Young Shots are the future of our sport, if you feel there is a budding Olympian waiting to shine, then let us know by making a nomination. Previously, Amy Easeman, Josh Bridges, Taylor Hedgecock, and Amber Hill have all won this award. Last year's winner was Lucy Hall. This award recognises the Clay Shooter of the Year for their achievement at the highest level, or consistent high performance throughout the season. Previous recipients of this prestigious award include Paul Chaplow, Amber Hill, George Digweed MBE, Peter Wilson MBE, and Ed Ling. Regardless of age or discipline, we are looking for someone who has excelled within their chosen discipline and who has shown all round sportsmanship. Last year's winner was Abbey Ling. Sponsored by GMK / Beretta, this is our newest category. This category recognises a shooter of any age or discipline, who is really starting to show brilliant talent, but may not have been recognised yet for their shooting ability. Last year's winner was Leah Southall. As a reminder, you have until midday (GMT) on Monday 14 January 2019 to submit your votes for any of the categories. Click here to vote now.